We have two build ideas that push the GTX 1060 to its full potential — one in a mid-tower case, and one in small-form-factor micro ATX on a budget. Excellent performance at 1440p, cool, quiet, and efficient. Obviously, these builds center around the GTX 1060, NVIDIA’s new graphics card aimed at a general audience. The 1060 is a huge jump over last generation’s GTX 960, and it will run most modern games on maximum settings at 1440p resolution and 60 frames per second. That means it will hit even higher frame rates at 1080p resolution. As stated before, we advise waiting for aftermarket options to hit the market, if you can wait that long. Not only will the price likely be lower, but aftermarket cards often come with improved cooling solutions and manufacturer overclocks to improve performance further. This quad core processor from Intel is a solid upper mid-range processor. With a stock clock speed of 3.4Ghz and ability to boost up to 3.8GHz when the extra processing speed is needed, it is a strong gaming chip when paired with an appropriate card. 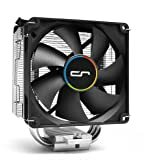 Compact and quiet, the Cryorig M9i will keep your CPU cooler and quieter than the stock heatsink would. Can be a bit tricky to install, so read the instructions carefully. This motherboard offers all the features you need and doesn’t offer any you don’t. 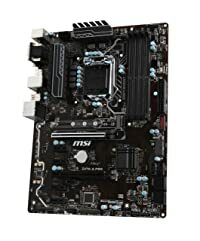 With USB-C, SLI and M.2 covered, it is a quality Z270 board for a very nice price. A fast and affordable 16GB kit. 3000 is currently the best value speed. A fair sized SSD that will make your boot and load times pleasantly short. Reliable storage for all your games and media. If you need more space, do not hesitate to buy a larger drive instead, or to buy another when you need it in the future. A high-quality, quiet, gold-rated modular power supply. More than is needed for the GTX 1060, but offers solid reliability and plenty of upgrade potential for the future. A new case from Phanteks, this is the silent version and features sound dampening materials as well as a built in fan controller. Easy to create an aesthetically tidy build and with enough storage locations for the average user case scenario, it has optional accessories if those would possibly be exceeded. 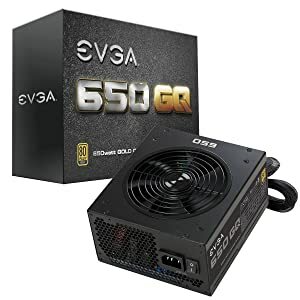 This build fits into a nice small mini ITX form factor, but provides just as much performance. The SSD is actually a little faster. It also comes with built-in WiFi. If you want to see other builds that do the best they can with less expensive components, or higher performance builds, check out the main page at Logical Increments. If you have any questions or suggestions, let us know in the comments.